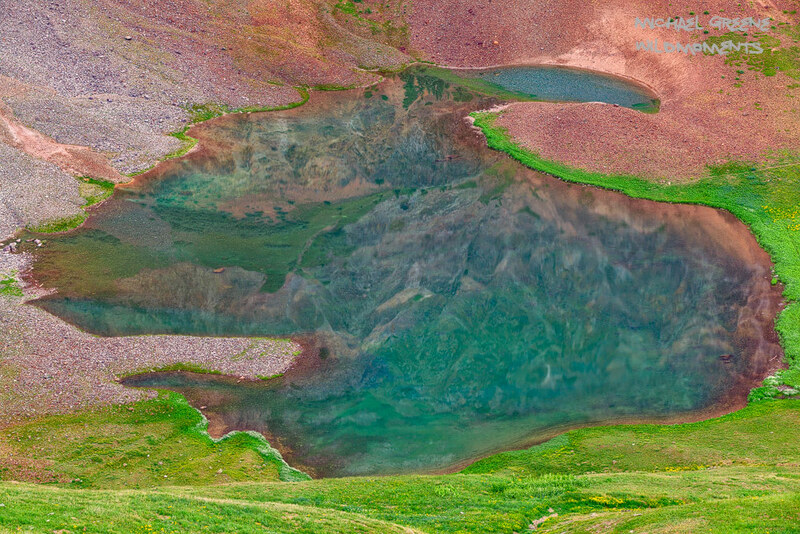 A colorful, abstract image of an unnamed lake near Silverton. Learn more about this secret spot in my ebook, Capturing Colorado Hiking and Photographing Lakes of the San Juan Mountains. Photo © copyright by Michael Greene.